This guide outlines all the steps in the M&A process. The mergers and acquisitions (M&A) process has many steps and can often take anywhere from 6 months to several years to complete. In this guide, we’ll outline the acquisition process from start to finish, describe the various types of acquisitions (strategic vs. financial buys), discuss the importance of synergies (hard and soft synergies), and identify transaction costs. To learn all about the M&A process, watch our free course on mergers and acquisitions. If you work in either investment bankingInvestment BankingInvestment banking is the division of a bank that serves governments, corporations & institutions, providing underwriting (capital raising) and mergers and acquisitions (M&A) advisory services. or corporate development, you’ll need to develop an M&A deal process to follow. Investment bankers advise their clients (the CEOCEOA CEO, short for Chief Executive Officer, is the highest-ranking individual in a company or organization. The CEO is responsible for the overall success of an organization and for making top-level managerial decisions. Read a job description, CFOWhat Does a CFO DoWhat does a CFO do - the job of the CFO is to optimize a company's financial performance, including: reporting, liquidity, and return on investment. Within a company, these responsibilities fall into departments typically known as the controller's group, treasury, and financial planning and analysis (FP&A), and corporate development professionals) on various M&A steps in this process. M&A due diligence – Due diligence is an exhaustive process that begins when the offer has been accepted; due diligence aims to confirm or correct the acquirer’s assessment of the value of the target company by conducting a detailed examination and analysis of every aspect of the target company’s operations – its financial metrics, assets and liabilities, customers, human resources, etc. Financing strategy for the acquisition – The acquirer will, of course, have explored financing options for the deal earlier, but the details of financing typically come together after the purchase and sale agreement has been signed. 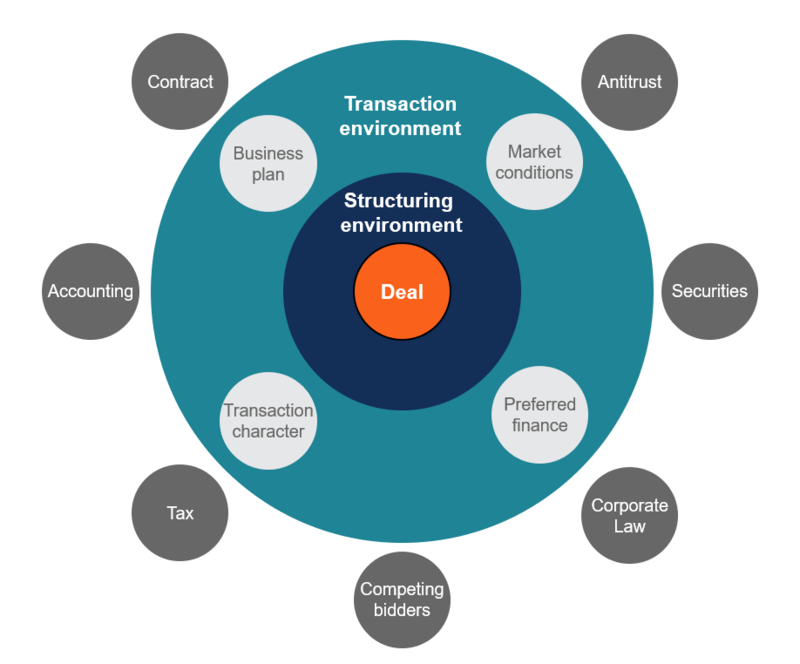 One of the most complicated steps in the M&A process is properly structuring the deal. There are many factors to be considered, such as antitrust laws, securities regulations, corporate law, rival bidders, taxes, accounting issues, contacts, market conditions, forms of financing, and specific negotiation points in the M&A deal itself. Important documents when structuring deals are the Term SheetTerm Sheet TemplateDownload our term sheet template example. A term sheet outlines the basic terms and conditions under of an investment opportunity and nonbinding agreement (used for raising money) and a Letter of IntentLetter of Intent (LOI)Download CFI's Letter of Intent (LOI) template. An LOI outlines the terms & agreements of a transaction before the final documents are signed. The main points that are typically included in a letter of intent include: transaction overview and structure, timeline, due diligence, confidentiality, exclusivity (LOI). To learn more, watch CFI’s free corporate finance 101 course. The vast majority of acquisitions are competitive or potentially competitive. Companies normally have to pay a “premium” to acquire the target company, and this means having to offer more than rival bidders. To justify paying more than rival bidders, the acquiring company needs to be able to do more with the acquisition than the other bidders in the M&A process can (i.e., generate more synergiesM&A SynergiesM&A Synergies occur when the value of a merged company is higher than the sum of the two individual companies. 10 ways to estimate operational synergies in M&A deals are: 1) analyze headcount, 2) look at ways to consolidate vendors, 3) evaluate any head office or rent savings 4) estimate the value saved by sharing or have a greater strategic rationale for the transaction). In M&A deals there are typically two types of acquirers: strategic and financial. Strategic acquirers are other companies, often direct competitors or companies operating in adjacent industries, such that the target company would fit in nicely with the acquirer’s core business. Financial buyers are institutional buyers such as private equity firms that are looking to own, but not directly operate the acquisition target. Financial buyers will often use leverage to finance the acquisition, performing a leveraged buyout (LBO)Leveraged Buyout (LBO)A leveraged buyout (LBO) is a transaction where a business is acquired using debt as the main source of consideration. An LBO transaction typically occur when a private equity (PE) firm borrows as much as they can from a variety of lenders (up to 70-80% of the purchase price) to achieve an internal rate return IRR >20%. We discuss this in more detail in the M&A section of our corporate finance course. 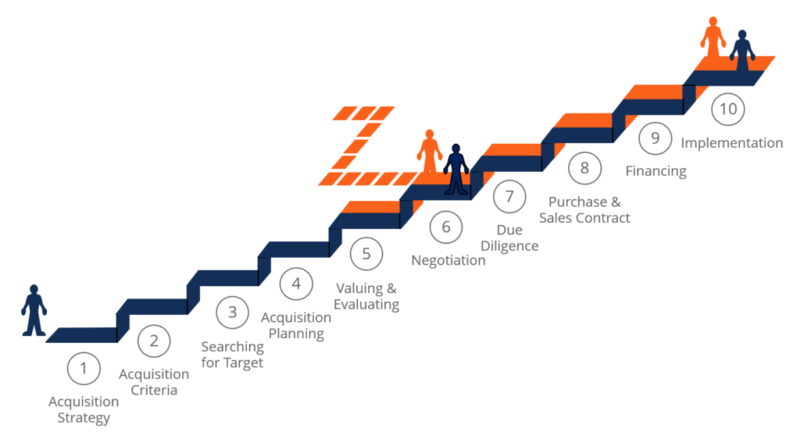 One of the biggest steps in the M&A process is analyzing and valuing acquisition targets. This usually involves two steps: valuing the target on a standalone basis and valuing the potential synergies of the deal. To learn more about valuing the M&A target see our free guide on DCF modelsDCF Model Training Free GuideA DCF model is a specific type of financial model used to value a business. DCF stands for Discounted Cash Flow, so the model is simply a forecast of a company’s unlevered free cash flow discounted back to today’s value. This free DCF model training guide will teach you the basics, step by step with examples and images. 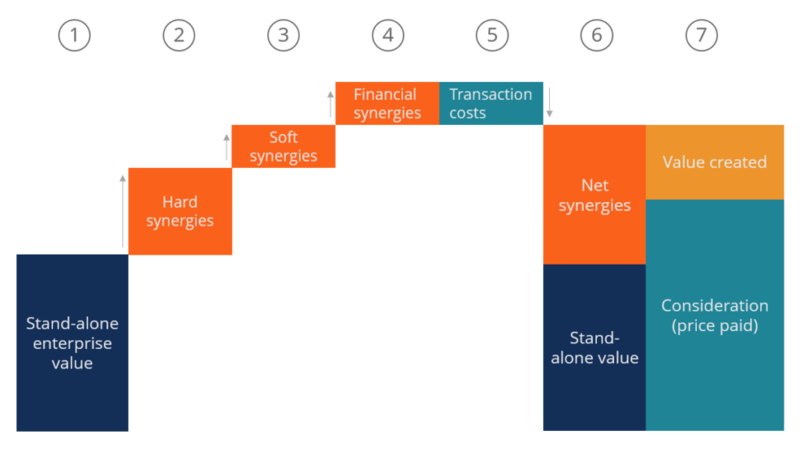 When it comes to valuing synergies, there are two types of synergies to consider: hard and soft. Hard synergies are direct cost savings to be realized after completing the merger and acquisition process. Hard synergies, also called operating or operational synergies, are benefits that are virtually sure to arise from the merger or acquisition – such as payroll savings that will come from eliminating redundant personnel between the acquirer and target companies. Soft synergies, also called financial synergies, are revenue increases that the acquirer hopes to realize after the deal closes. They are “soft” because realizing these benefits is not as assured as the “hard” synergy cost savings. Learn more about the different types of synergiesTypes of SynergiesM&A synergies can occur from cost savings or revenue upside. There are various types of synergies in mergers and acquisition. This guide provides examples. A synergy is any effect that increases the value of a merged firm above the combined value of the two separate firms. Synergies may arise in M&A transactions. To learn more, check out CFI’s introduction to corporate finance course. The most common career paths to participate in M&A deals are investment banking and corporate development. Investment bankersInvestment Banking Career PathInvestment banking career guide - plan your IB career path. Learn about investment banking salaries, how to get hired, and what to do after a career in IB. The investment banking division (IBD) helps governments, corporations, and institutions raise capital and complete mergers and acquisitions (M&A). Analysts work 100 advise their clients on either side of the acquisition, either the acquirer or the target. The bankers work closely with the corporate development professionalsCorporate Development Career PathCorporate Development jobs include executing mergers, acquisitions, divestitures & capital raising in-house for a corporation. Corporate development ("corp dev") is responsible for executing mergers, acquisitions, divestitures and capital raising in-house for a corporation. Explore the career path. at either company. The Corp Dev team at a company is like an in-house investment banking department and sometimes is referred to internally as the M&A team. They are responsible for managing the M&A process from start to finish. To learn more, explore our interactive career map. This short video explains each of the 10 steps outlined above. Watch and listen to an overview of how the process works.